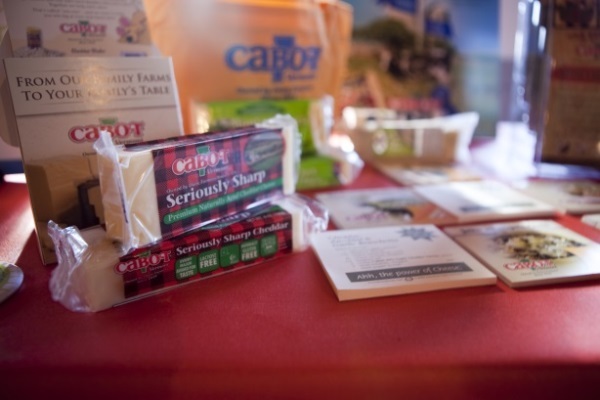 Cabot Creamery Cooperative, which is owned by more than 1,200 dairy farm families in New England and New York, aimed to build brand awareness before the holiday season. Cabot Creamery Cooperative is owned by more than 1,200 dairy farm families in New England and New York. Every two years since 2009 it has held "Open Farm Sunday" events in which the public is invited to tour farms. Warner Communications, which has worked on all the events, helped promote last year’s October 13 event. "Our goals were to build brand awareness before the holiday season," explains Nick Managan, the cooperative’s northeast marketing and communications integrator. "Many people know the Cabot brand, but few realize we’re a cooperative and what that means in terms of profits going back into the community and supporting the community." Media relations, social media engagement, a microsite, and community partnerships and outreach drove awareness of events held at 49 Cabot farms. "We had a hyper-local objective to build a sense of community and brand awareness," says Erin Vadala, agency SVP. "Media relations overlaid that, and we worked in partnership with some of the farms, dairy boards, and dairy associations." Community reporters, local and regional food editors, and business writers were targeted beginning in early September. Multiple angles were pitched, including the benefits of buying locally made products. Farmers and the cooperative’s director of communications gave media interviews. Event microsite was redesigned this year and showcases all participating farms, including virtual tours. Participating farmers were given promotional materials to distribute in their communities. The cooperative regularly posted photos, updates, and information about individual farms and farmers to the Cabot brand’s Facebook, Instagram, and Twitter pages. The farmers also posted hundreds of photos on their own social media channels leading up to the events. Press releases specific to New England and to New York State were issued on October 11. Local broadcast and print media were invited to attend events. Activities varied by farm and included livestock tours and product sampling. Cooperative and agency staff talked to visitors about products and the cooperative and passed out recipe brochures and branded giveaways. Visitors who posted photos taken at a farm to Twitter or Instagram on October 13 with the hashtag #cabotfarmers were entered to win cheese gift boxes or a stay at a bed and breakfast on one of the farms. Photos from select events were pitched to media and follow-up interviews were conducted through November. Overall attendance more than doubled in 2013, hitting an all-time high of about 13,160. Managan reports holiday sales were higher than expected. About 1.1 million total impressions were garnered across Facebook, Instagram, and Twitter, nearly double 2011 impressions. More than 50 stories ran in outlets such as The Boston Globe, Cheese Market News, Waterbury Republican American, Watertown Daily Times, Bangor Daily News, and the Providence Journal. Unique page views on the website were slightly down compared to 2011, but average time on the site more than doubled to one minute forty-six seconds. Managan attributes the decrease to a more modest online ad spend in 2013 compared to 2011 and the increase to the site redesign. 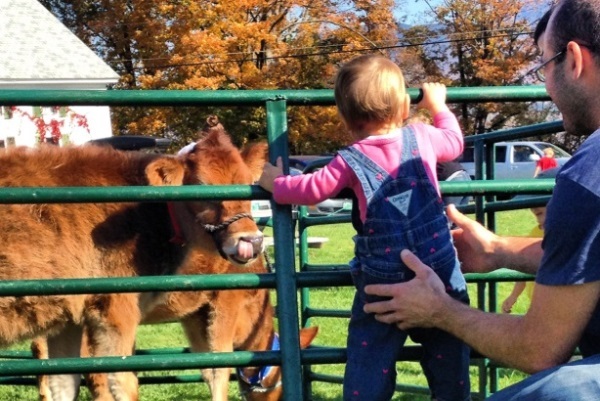 The next Open Farm Sunday event will be held in 2015. A "Gratitude Grille" food truck, which gives away meals made with Cabot products as a way of thanking volunteers and community service organizations, is currently touring Florida. In May, the truck will join a "Cabot Community Tour" that will travel from Miami to New York City.